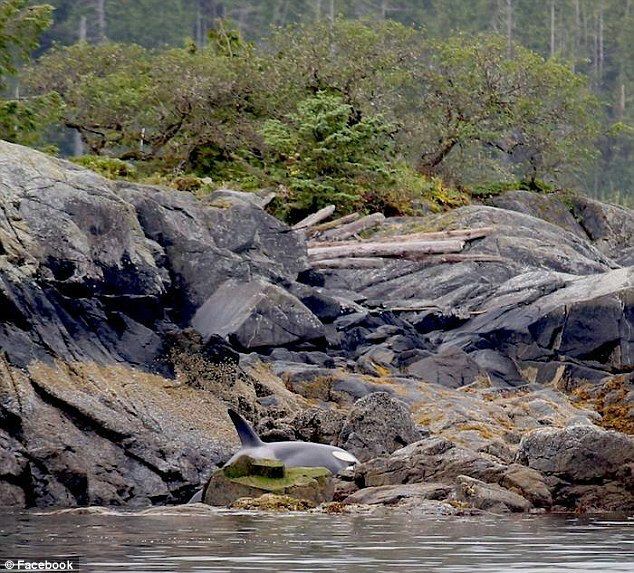 As the pod of orcas began to move out of Hartley Bay, on the North Coast in British Columbia, Canada, one nine-year-old whale made a mistake that nearly cost her life. 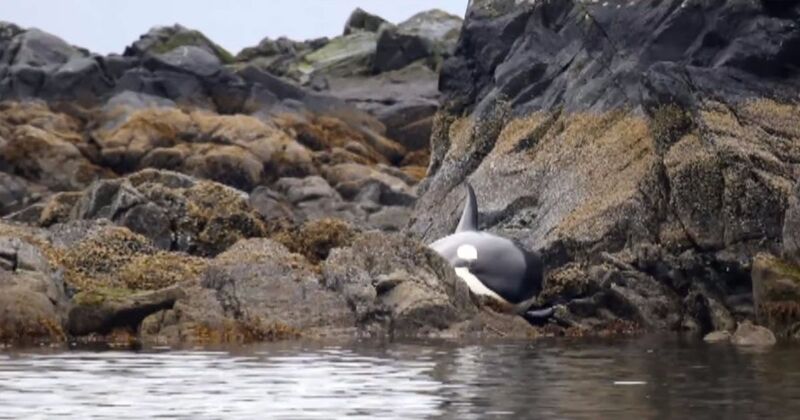 While swimming with her pod, this orca became stranded in a group of rocks during the low tide. 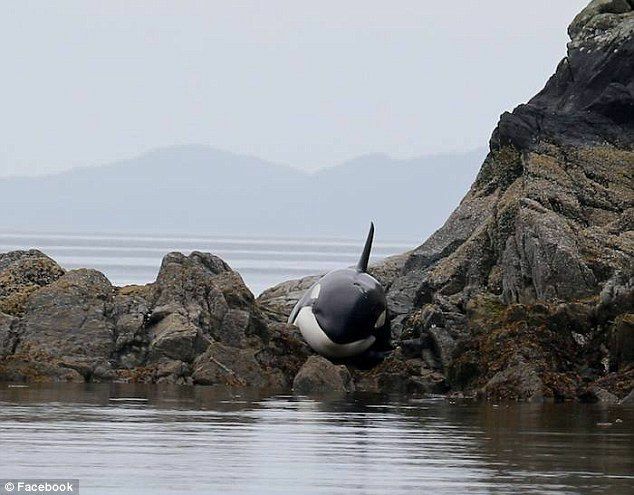 As the rest of her pod went by, the orca cried for help. Local marine scientists and volunteers were alerted to the trapped whale when they received a radio call from a passing sailboat. They immediately leaped into action. They knew all too well that if the orca was to have a chance at survival, there wasn't a second to waste. 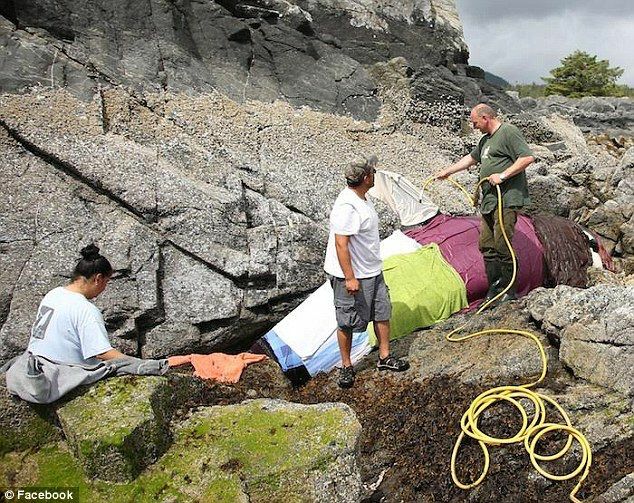 With the tide so low, the orca was at risk of drying out and drowning, and as the high tide would not be in for around eight hours, the scientists and volunteers had a difficult task ahead of them. Hermann Meuter, a marine scientist and co-founder of The Cetacean Lab, was first on the scene. He spoke to the whale "because it was just me and the whale for the first couple of hours, it just felt good to talk to her a little bit and give her some comfort I was able to give her." His kindness helped prevent the whale from becoming more stressed. "I think she knew that we were there to help her," said Meuter. Next, the team had to find a means to keep the whale's temperature from rising. Meuter explained, "We decided the best thing to do would be to keep her cool, that meant to put water on her body and we used blankets and sheets. It was the only thing we could do." Marvin Robinson, a volunteer, described the whale's reaction when the cool, wet blankets were placed on her body. "You know, when you’re really thirsty and you take that first drink of water and you kind of go, ‘Ahhh.’ That’s the way this whale sighed in relief," he said. Then the group developed a type of water pump using duct tape, a hose, and a pump from one of the group's ships. This pump ensured that the whale would have enough water around her despite the low tide. 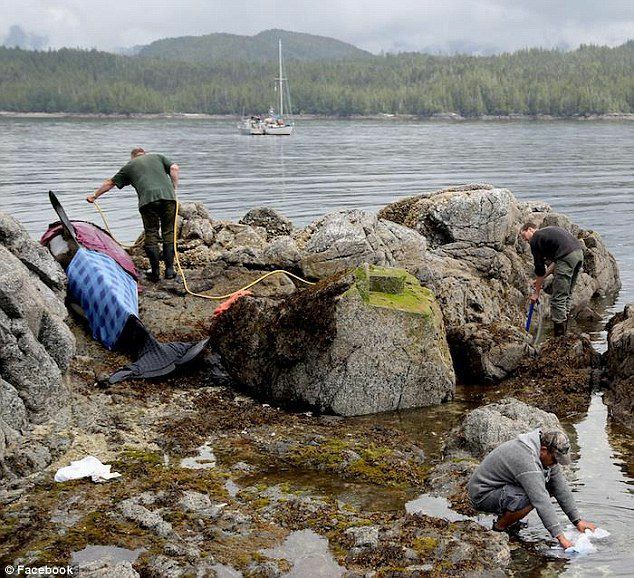 For hours, the volunteers worked tirelessly to keep the whale alive long enough for the tide to rise. Finally, the high tide came in, and the whale began to try to escape from the rocks. "It took her about 45 minutes to negotiate how best to get off the rocks," said Meuter. "We all just kept our distance at that point." Then she did it! The whale freed herself from the rocks and began to swim slowly out to her pod, who had been waiting nearby all day for her. "She cried often, which tore at our hearts, but as the tide came up there were many cheers as this whale was finally free," the environmental group Whale Point posted on Facebook. Scientists later identified the whale as TO6982, and they hope to meet her and her family again under better circumstances. Watch this incredible rescue video below, and share this story of compassion and heroism with your friends and family on Facebook.